Industrial & Residential Window Cleaning Cottenham Park SW20 | RDA Cleaning & Maintenance Ltd.
We are an expert window cleaning company in Cottenham Park SW20 and offer quality services for both residential and commercial customers. Out Insured Professionals do their very best in providing you with the highest quality performance at an affordable price. RDA Cleaning & Maintenance Ltd.’s purpose is to reach as far as possible and to provide best window cleaning services for the entire London. With years of experience behind its back, the window cleaning company offers will not only leave you with a sparkly clean view but our benefits will also make sure to leave you satisfied with the overall experience. So why don’t you give us a call at 020 3404 1646 or use the online booking form? So that we can be on our way to do the job we love. Our Top-Rated Window Cleaners Cottenham Park SW20 Are By Your Side 365 Days A Year! 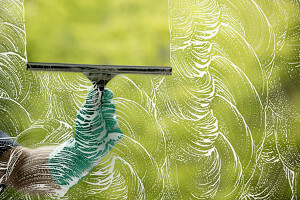 Our expert window cleaning cleaners Cottenham Park SW20 can clean all window types. You can arrange the service in a most convenient for you time. We do not extra charge you either for the weekends, or for the national holidays. You can be out of the property during the procedure. We will need spare key only if you require some window cleaning from the inside or PVC sills wiping. If you order only window cleaning from the inside, we only need some parking space where to park the van with the innovative pole-based system. The rest is our job. Know that if you are not satisfied with the final result, you can contact us back within a certain period. The window cleaning service is insured. And we also cover the eventual damages and losses. Get the ladder aside and let our hygiene experts to handle window cleaning in Cottenham Park SW20 Get a free quote now! Book our sophisticated window cleaning services today! Call us on 020 3404 1646 phone number and make a quick reservation at competitive price! You can also make an order via the online booking form!